Use SHP1 Wifi Smart Plug, Share Device with Family, Start New Life! BW-SHP1 mini smart plug is wifi enabled, no hub required, timing, voice control and remote control outlet socket, which works with amazon alexa, google home , IFTTT. With ETL, FCC verified, the smart plug also has overcharging overheating protections, much safer, much smarter, and more convenient for your life. 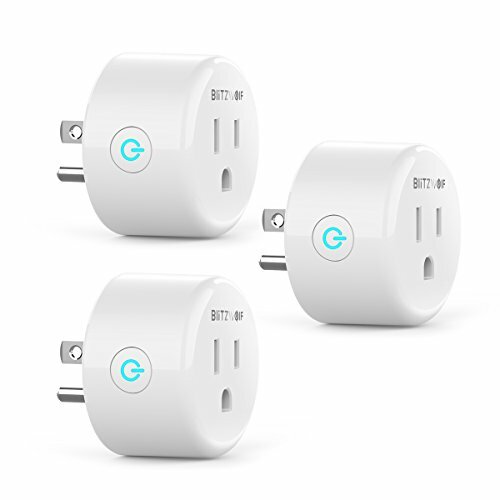 The smart plug connects internet through wifi, you can download" smart life" app, you can remote control home appliance on your smartphone, tablet wherever whenever. Soundbar turns on at 19:00 to enjoy music, lights turns off at 22:00 to sleep. SHP1 Smart socket works with amazon alexa, echo dot, google home, just manage device by your voice: hi, alexa, please turn on the night light now, close it after 30 minutes. You don't need to walk to turn off the lights when you are already in the bed. Create all-day-round customized schedule, save time, simplify your life. Lights will turn on when you back home under the sunset, close after 3 hours. Air-conditioner will be automatically opened if indoor temperature is over 28, closed after 2 hours.